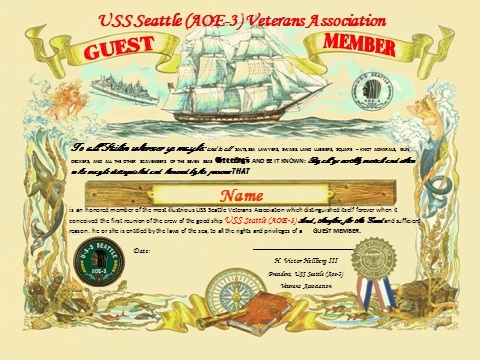 A spouse or child of a crewmember is qualified to become a guest member of the Association with no voting rights or no dues. B. Membership requires the completion of an application form and payment of one year's dues $30.00. Annual dues will be $30.00. These dues may my determined or changed at any reunion general business meeting by a two-thirds (2/3) vote of members present. Dues are due by January 15th each year. To attend all reunions and vote at all elections on all issues at the general business meetings.